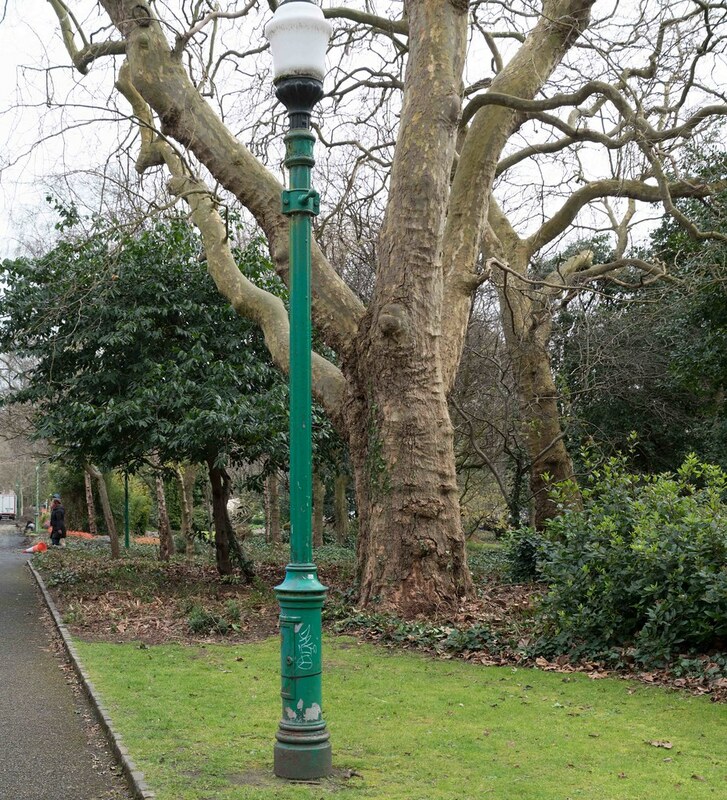 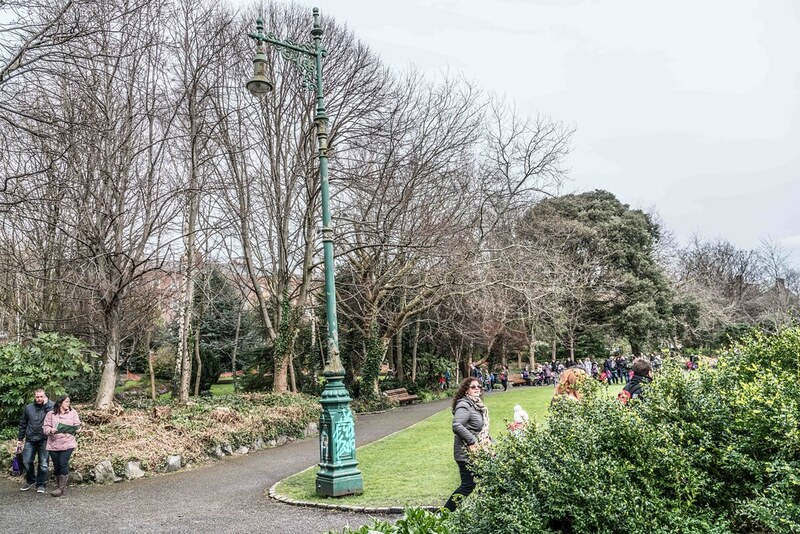 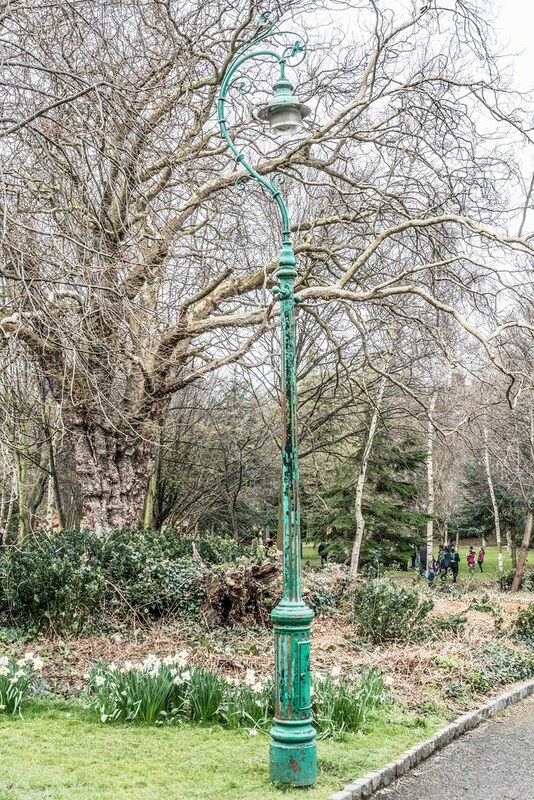 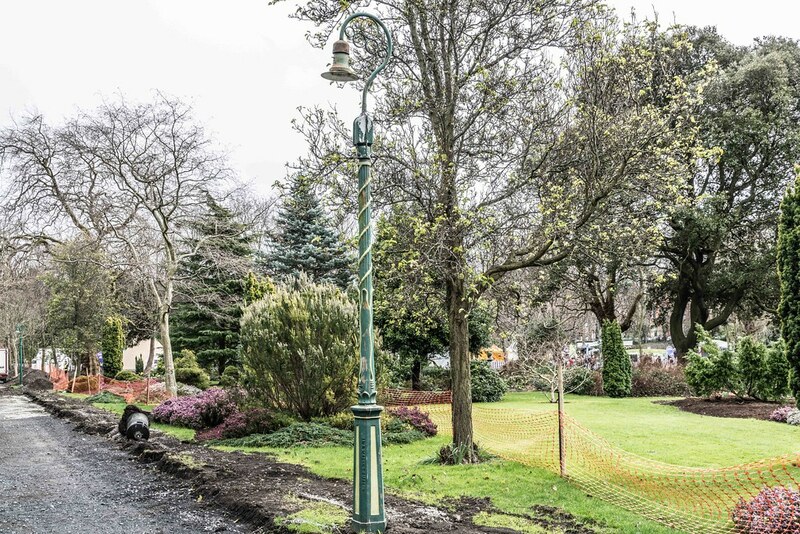 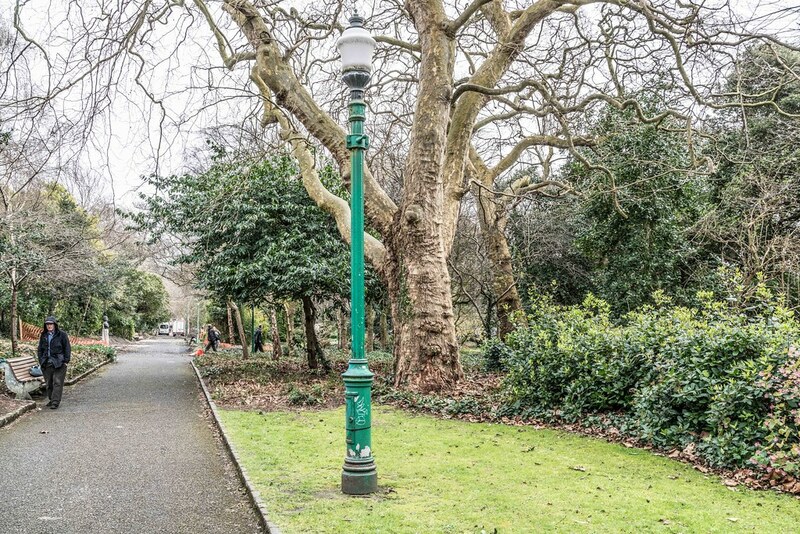 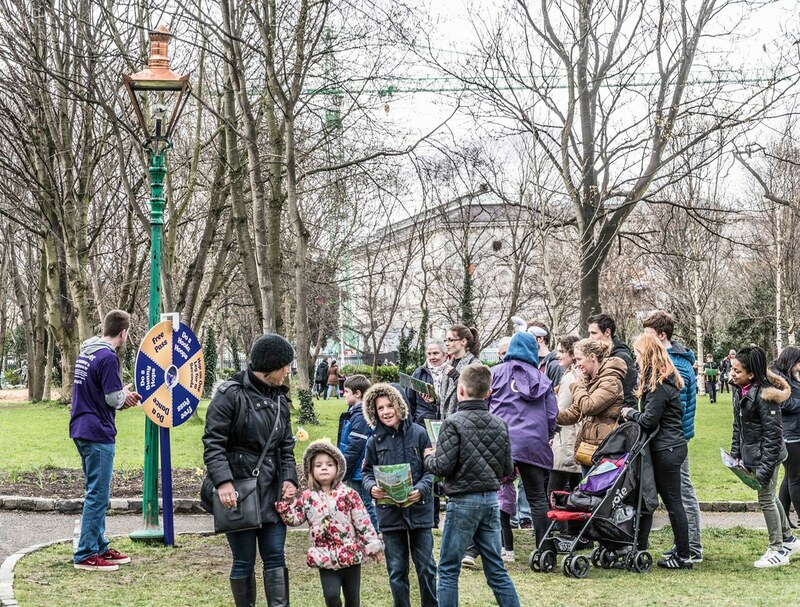 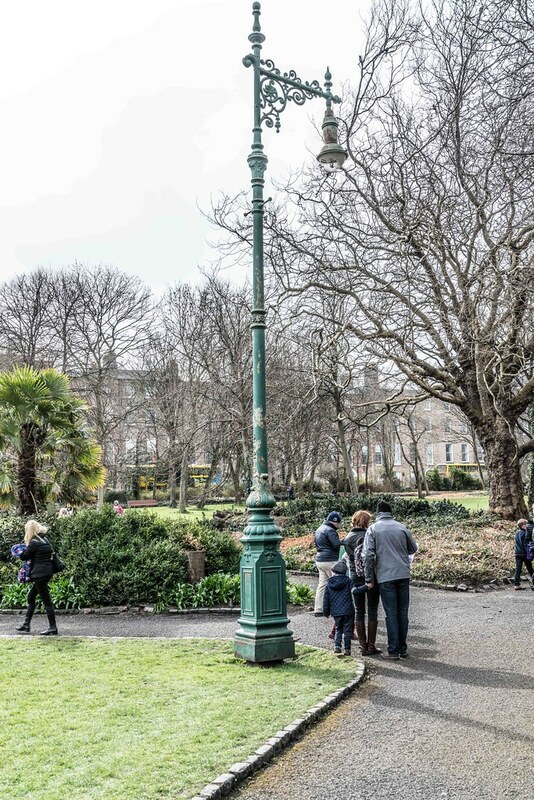 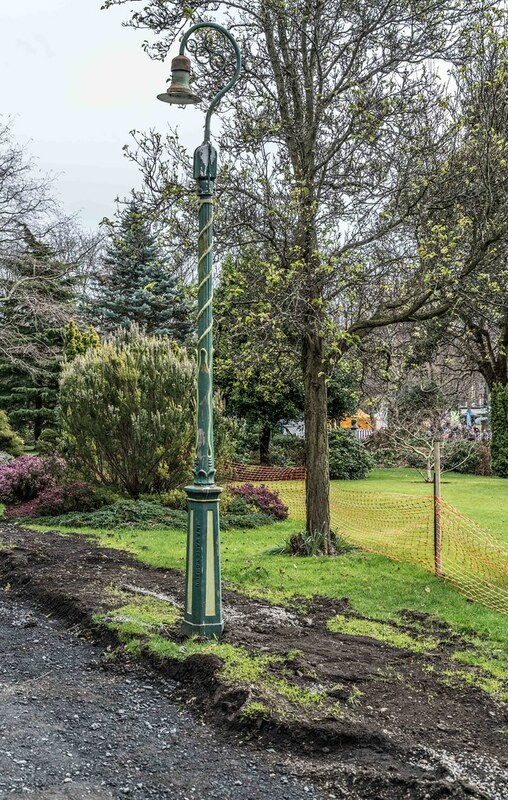 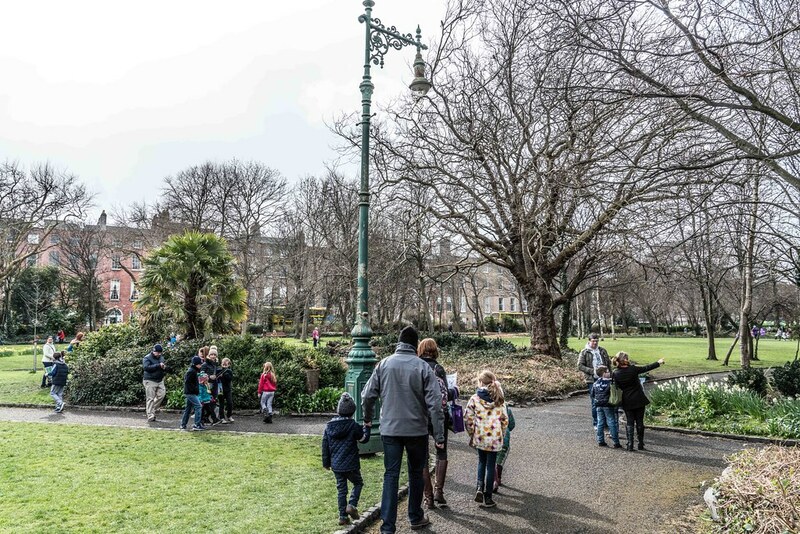 There is an interesting and varied collection of old Dublin lamp posts scattered randomly along the pathways of Merrion Square Park. 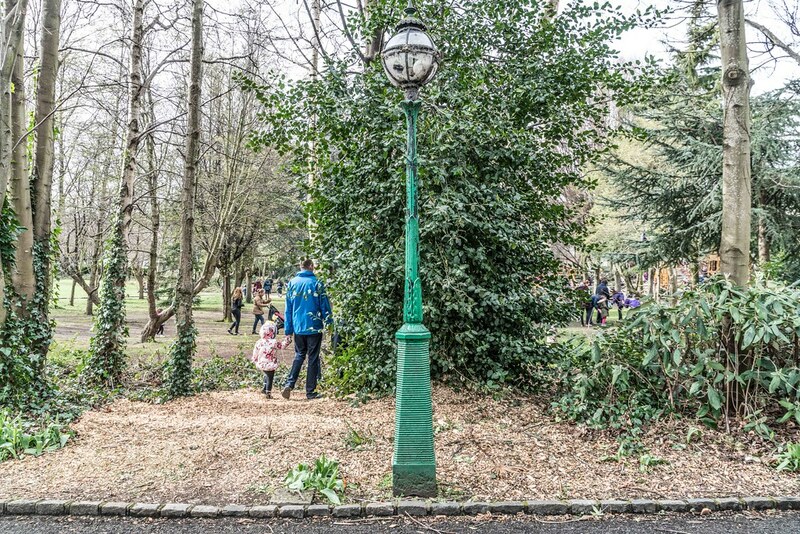 Unfortunately, as sections of the park could not be accessed today due to construction work and events I was unable to photograph all of them. 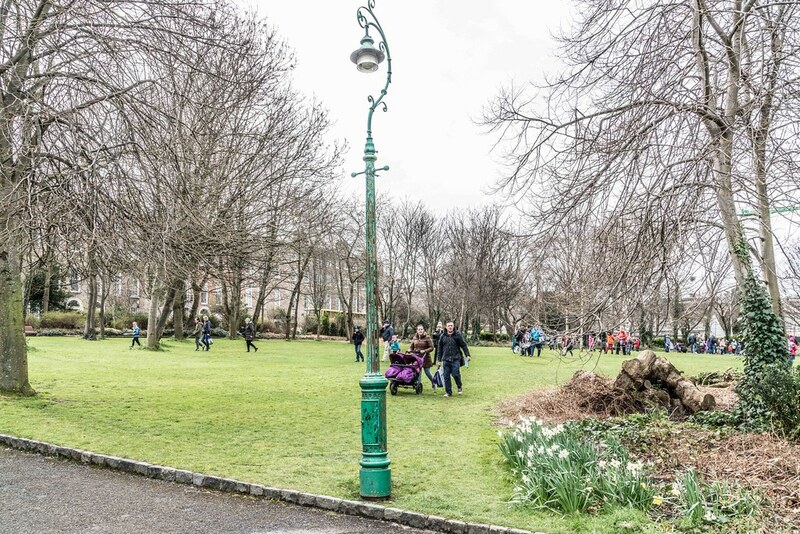 Someone contacted me to enquire if Merrion Square Park is in fact ‘square’. 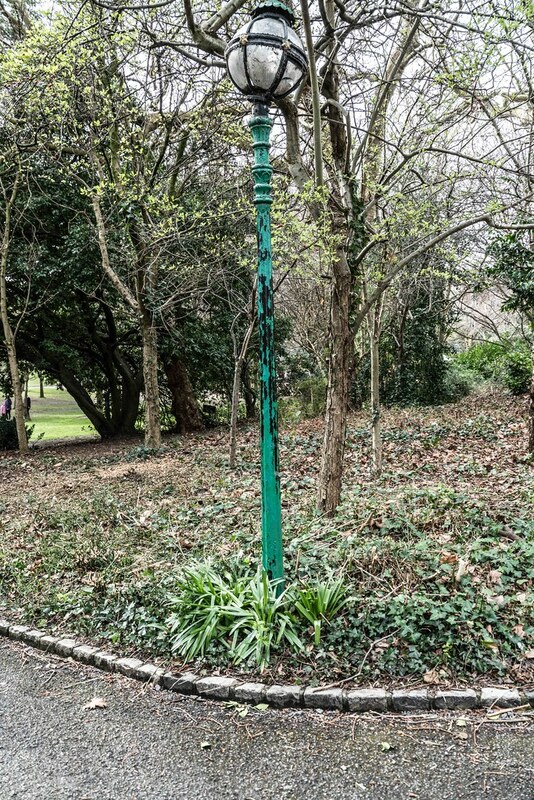 The short answer is … I don’t know. 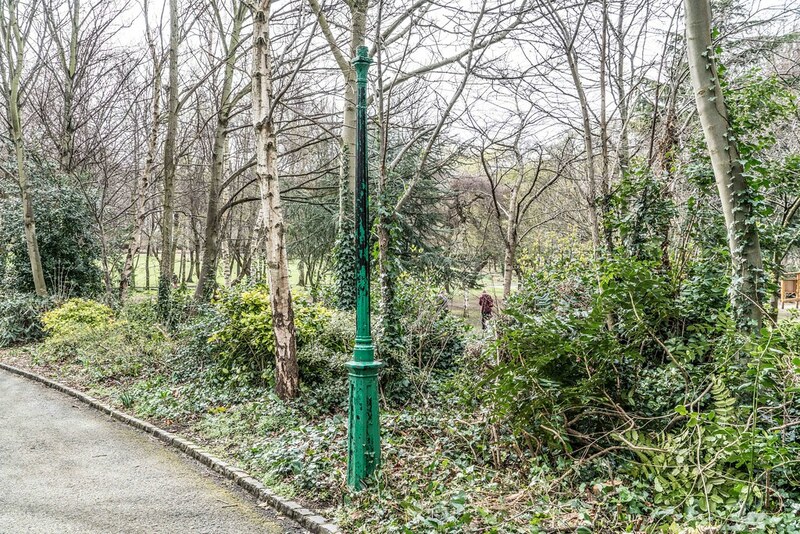 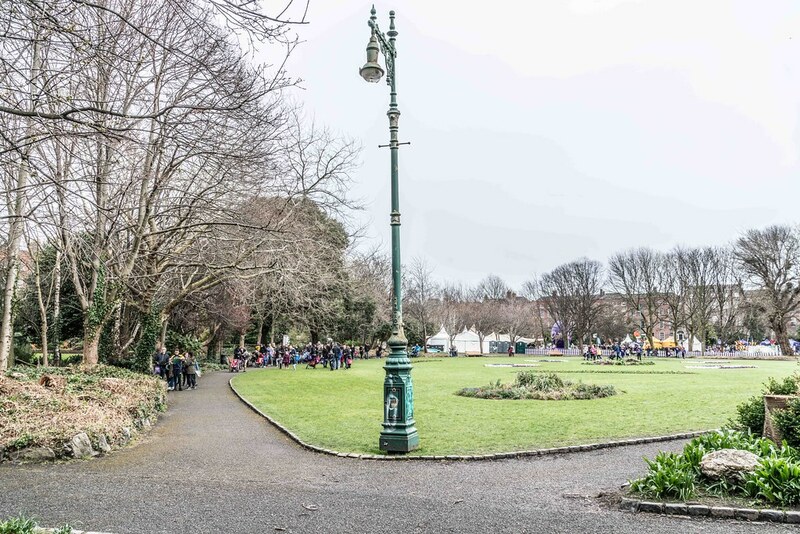 The park is located in Merrion Square which may be square. 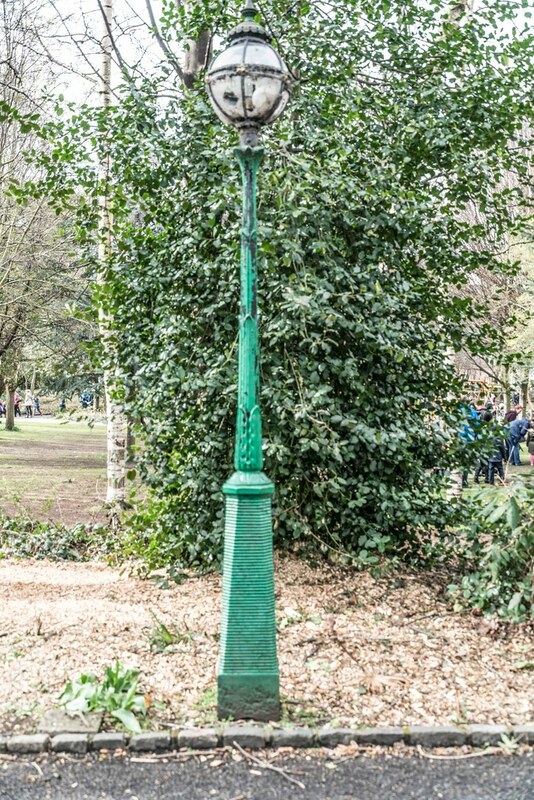 In Ireland an area may be called a Square when in fact it forms a Triangle an example being Brighton Green. 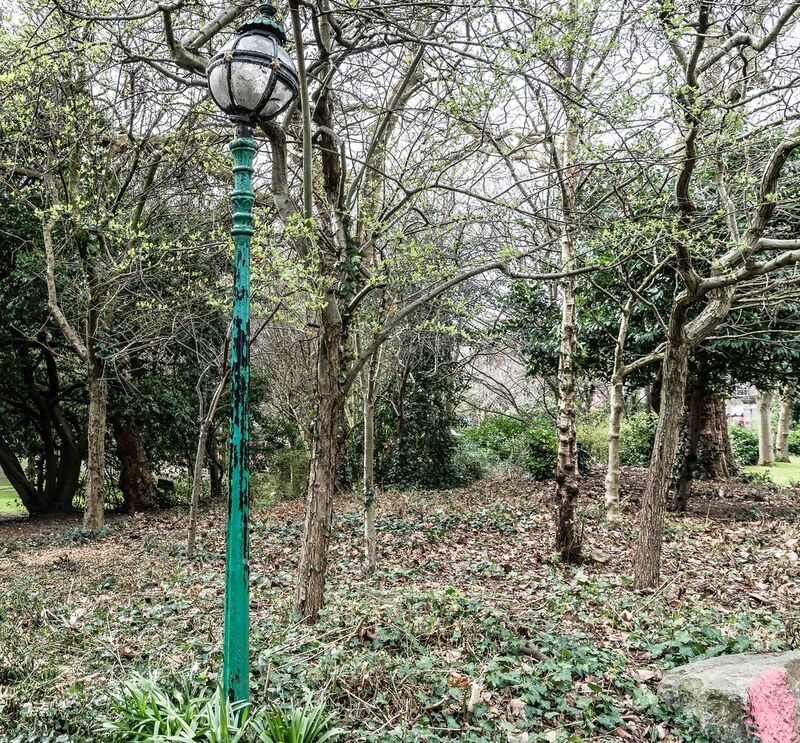 I am not sure that I fully agree with Frank but I do agree that many of them are in poor condition and some appear to consist of unrelated parts. 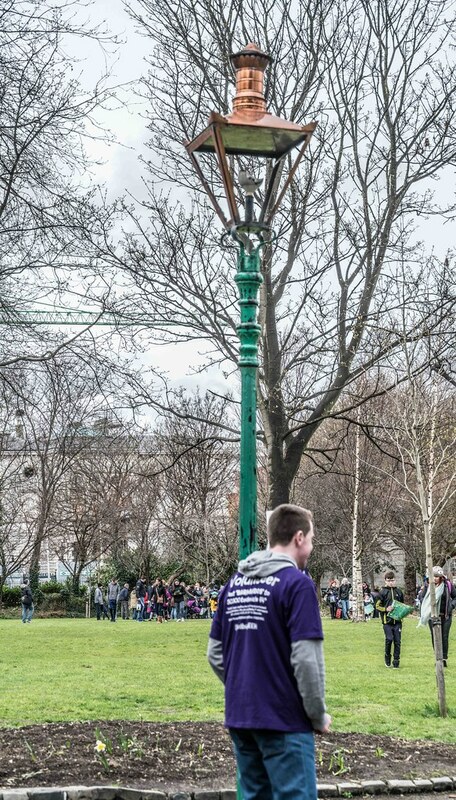 Also the collection as a whole gives the impression as not being quite right. 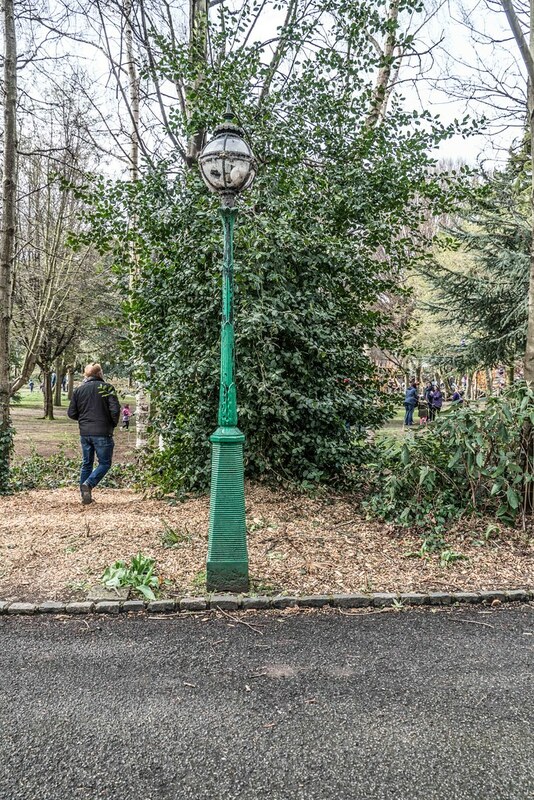 I have failed to locate as many as 25 and for various reasons I have been unable to photograph all that I did find during this visit but I do plan to visit again in a few weeks.